- Attachments for different hair sizes 3mm, 6mm, 9mm, 12mm. 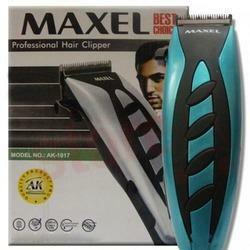 Maxel Best Choice Professional Hair Clipper Ak-6622. 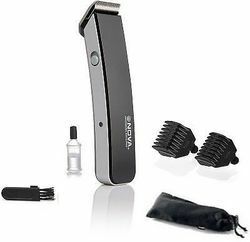 Rechargeable Dc Motor Hair Trimmer. Cordless Operation. Stainless Steel Precision Cutting Blade. Accessories: 1. 1 Charging Brush, 2. 1 Cleaning Brush. 3. 1 Blade Oil. 4. 1 Mini Hexagonal Spanner. Note: Color May Vary. - Cutting Cleanly Without Tearing Sick! - Can Be Managed Easily By Water Washing. We are one of the trusted companies of Rechargeable Trimmer Machine. Our products are enormously admired in the market owing to their top features.